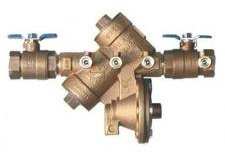 We provide conveniently scheduled backflow testing, repair and installation services to Western Washington. We pride ourselves on educating you, the water customer, on how to reduce the risk of inadvertently contaminating your private or public water supply. Fire Solutions NW handles all of the paperwork and processing for your convenience. Copies of all necessary documents are sent to the water district and an additional copy is maintained in our files for future reference. We also offer a free annual reminder service, giving you a heads-up when it comes time to have your backflow assembly tested again.